Serious games (SGs) or persuasive games are computer and video games used as persuasion technology or educational technology. They can be similar to educational games, but are often intended for an audience outside of primary or secondary education. Serious games can be of any genre and many of them can be considered a kind of edutainment. Check the latest posts from this blog here. Can the Iphone/Ipodtouch be the Dynabook ? Way back in 1968, a brilliant computer scientist by the name of Alan Kay envisioned the Dynabook, a tablet like PC with nearly eternal battery life and software aimed at giving children access to digital media and facilitating education and learning. We’ll about 40 some odd years have passed, and PC’s have flourished and powerful laptops now go for well under $1000. Although this has had a tremendous impact and kids a learning, I would argue that this has only been a partial realization of Alan Kay’s original vision. 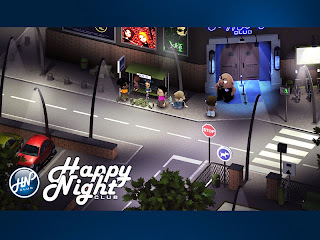 “Happy Night” is a Serious Game developed by Succubus Interactive, in partnership with the communication agency Double Mixte, on behalf of Nantes Health Department. “Drinking yes, but not too much!” is the message sent to young people (main target: 12-25 years old). Based on the serious game concept, “Happy Night” is a point&clic adventure game used as a tool to pass prevention and sensibilization messages about the danger of over-alcohol and binge drinking. “In order to pursue and enforce the prevention projects settled by the city Health Department, the choice of a serious game became an obvious option regarding the complexity of the subject and the average age of the target audience” reported Nadya Jahan, head of business development at Succubus Interactive. This course will go in-depth in the theory of how war is conducted within the confines of the game Starcraft. There will be lecture on various aspects of the game, from the viewpoint of pure theory to the more computational aspects of how exactly battles are conducted. Calculus and Differential Equations are highly recommended for full understanding of the course. Furthermore, the class will take the theoretical into the practical world by analyzing games and replays to reinforce decision-making skills and advanced Starcraft theory. iPhone RFID: object-based media from timo on Vimeo. Is this a twitter app bubble ? Create your own branded twitter with Status.net and Twitteronia, no server required ! Can Twitter make money ? Simple point & click enrichment of your blog posts (and emails). 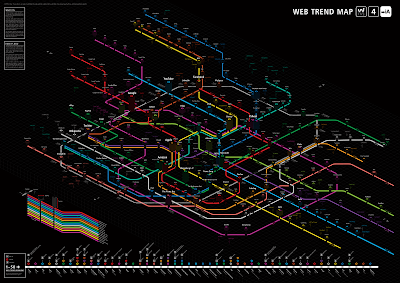 In real-time, while you type. Zemanta Live Writer plugin screencast from zemanta on Vimeo. Would you like to be a guest blogger on this site ? I'm looking for people with interesting serious games related material. Your posts would include information about you and your organisation as well as links to your sites or blogs.